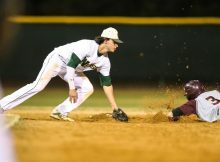 By Brady Lorch (Sports Editor) Recently, on the 27th of March, Nease’s baseball team lost to Creekside in extra innings. Although Nease took a lead after scoring a run in both the first and second innings, Creekside managed to tie the game and sent it into extra innings. Currently 3-0 in the district, this win over Nease helped Creekside remain undefeated in what is considered one of the hardest districts in Florida. Although Nease fans are sad to be defeated, credit must be given to the players for Creekside for taking back the game and remaining undefeated in the district. Key players for Creekside included Daniel Cantu, Josh Frisbee, Connor Hults, and Brice Brindel. The importance of a game like this can not go unappreciated. Two varsity teams from one of the hardest districts in which you can compete in Florida. First off, it’s bound to be an enjoyable event. But more importantly, a win in this type of game does a whole load of good to what seed you are. Whenever Nease plays, they strive to prove that they are the best, but sometimes you just can’t win, and as the saying goes, you win some and you lose some. For more click here. 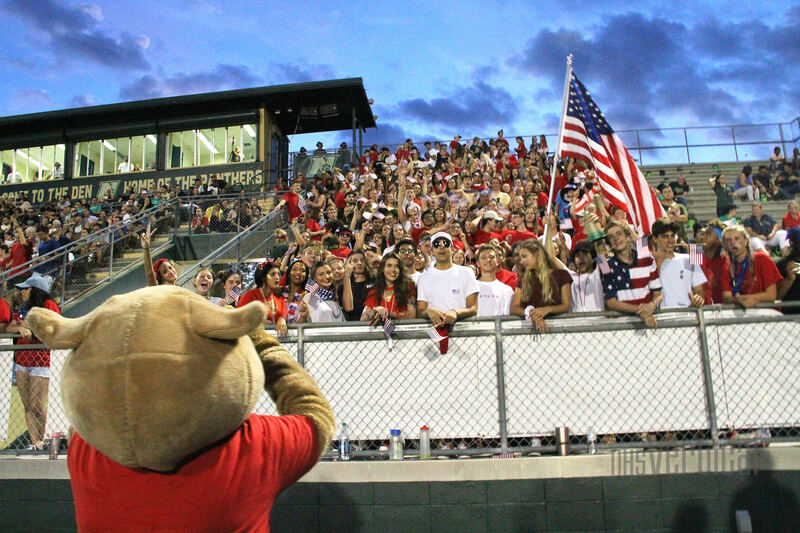 By Brady Lorch (Sports Editor) During halftime at the Nease vs. Ponte Vedra game on the 24th of August at Nease High School, members of the Nease band and color guard were disappointed when they couldn’t perform their full show at this important rivalry game. The reason for this was that Ponte Vedra performed both parts of their performance when they were only supposed to perform the first part. This extended performance cut into precious time for Nease’s performance, allowing them to do only one song before they had to give the field back to the football teams. Many students and parents were excited to see their friends or children perform at halftime and they were disappointed to find that there would be no show from Nease. Many Panther fans were annoyed at the Ponte Vedra band for taking up so much of halftime. Lauren Stamschror, a member of the Nease color guard, said, “To go up there before the entire school and be told that we couldn’t perform was really upsetting. Everyone was really bummed out.” When asked what caused the color guard to be cut off, Lauren said, “Setting up took a lot longer because it was the first time we had to set up. This, in combination with the length of PV’s performance, cut us off.” According to Lauren, the performance planned by the Nease band and color guard was called Two Possibilities. In Two Possibilities, the band represents the people of the world and the color guard represents an invading race of aliens. Only the first two parts have been performed before a live audience so far. In the first part of the show, only the band is performing as this section of the show represents everyday life on earth. In the second part, the color guard joins the performance and the band’s performance purposefully becomes more frantic and chaotic with the arrival of the new invaders. The Nease color guard placed 22nd out of about sixty competitors at the Color Guard World Championship in Dayton, Ohio last year. Being one of the best color guards in the state, one would assume that their performance would be top-notch. It was great last year and we can expect it to be just as great this year. But we will have to wait until their next performance to see. With a little bit of luck, maybe their next performance won’t get halted before it begins. 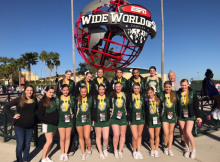 Nease High school students are involved in countless sports teams, their hard-work and dedication has taken some teams to districts, states, or even nationals. After school, countless hours of practice were put into this year’s football season, as well as practices before the season started. The team’s hard work paid off, as they played to victory in 2 games of their season. Nease’s girl golf team won District 6 Championship. Nease’s girls swung their way to Districts where they won runner up and placed fourth at states. They played a score of 308 at districts in total. Our competitive cheer team had been working around the clock. They won first place — Small Varsity Division at the UCA All Out Championships at UNF. Not only were they awarded first, but also the title of Grand Champion. ROTC is not just one of the academies offered at Nease, but also a competitive sport. Some of their competitions include drill, air rifle, athletics, and orienteering. This year they made it to nationals and won seventh place. As of April 2017, the varsity team went to bat at a total of 18 games and left as the victors of 11. The JV team won 8 games and lost 6, and tied with another school at 1 more. Out of the hundreds of wrestlers, 11 of Nease’s own wrestlers won a spot at regionals this year. 3 of those wrestlers qualified for states. This years spring softball varsity team won a total of nine games this year. Coach Owens said that the girls, “have a shot at least second place, and I think we can win in all” at districts. If the girls win at districts, they will move on to states. Our girl soccer team ran all the way to states in this 2016-2017 school year. Ultimately, they lost the tournament during the first game and were unable to continue. With freestyles, relays, butterflies, and more, our swim and dive team made it to states this year. With meets about twice a week, they made it to states. Five swimmers swam their way to states this year: Jane Wadhams, Lily Short, Ryan Rabalais, Katherine San Juan, and Ria Malhotra. Nease baseball is swinging into action; they have currently won 7 of the 12 games played. The season began in January and will continue until May. Nease High School boys experienced a hard loss to their strongest rival, the Ponte Vedra Sharks, during their football season, and have redeemed themselves by taking the victory in their basketball season. Now to end the year, the baseball players were put to the ultimate test in their game against Ponte Vedra. They have come out on top with a winning score of 4-3. Varsity player, Nick Mueckay (Junior) said, “The Nease baseball team is more than a team – it is a family. 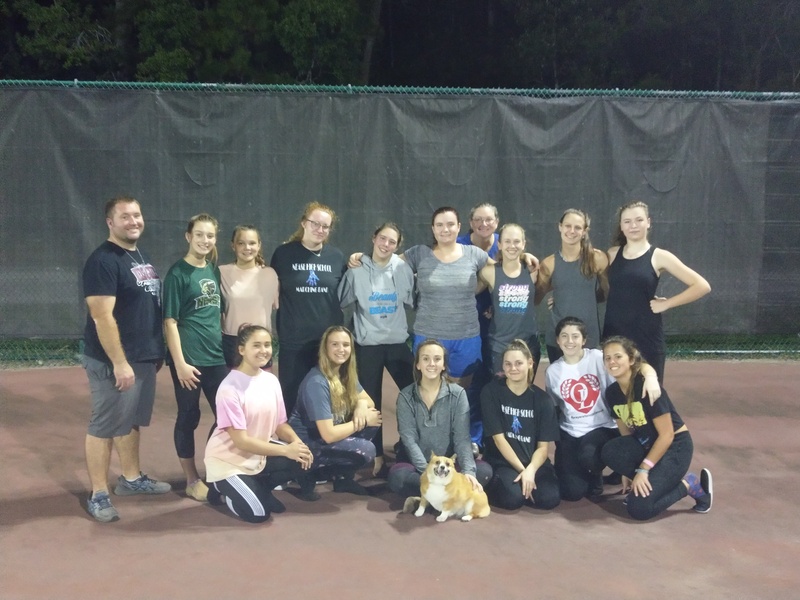 We respect and encourage each other; it is like we are a big group of brothers playing the game we love.” Nease softball girls are midway through their season, as well. They have won a total of 4 games out of 9; however, they have 8 games left to make a winning comeback. Varsity player Courtney Furst, was awarded “Player of the Game” against Matanzas, in the month of March. She received this award after her diving play at 2nd base, and got the out at first on defense and a double with 3 RBIs at the plate.